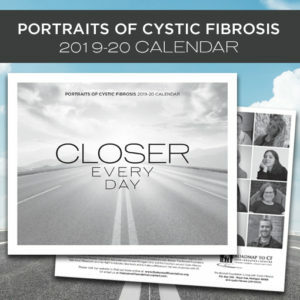 Order the 2019-2020 Portraits of Cystic Fibrosis calendar today! It’s been 30 years since the gene was discovered that causes CF. Meet the wonderful scientists who played a role in the discovery and others who continue to work in research, work with patients and work on medications to help people with this disease. You’ll be inspired by Dr. Francis Collins (who is now the Director of the National Institute of Health) and the CF people his 1989 discovery impacted. Be inspired. Order your calendar today. 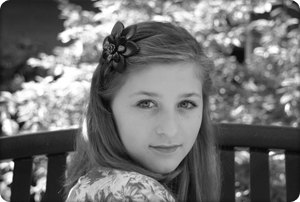 This is a gorgeous black and white, 24 month calendar that celebrates the wonderful reality that more and more people with cystic fibrosis are living into adulthood and attending college. The Portraits of Cystic Fibrosis calendar is designed to inspire and give hope to families and friends of people living with Cystic Fibrosis. The average life expectancy today is into the late 30’s. The funds raised from this calendar will go toward research, education grants, lung transplants, helping families with other medical expenses and resources. As we look toward the future, our hope is to continue to raise awareness about cystic fibrosis and raise funds so we can continue to equip families with what we hope is a long road living with CF. 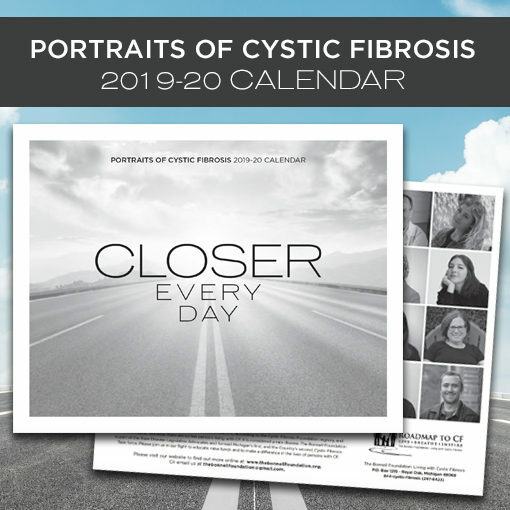 The Portraits of Cystic Fibrosis calendar is designed to inspire and give hope to families and friends of people living with Cystic Fibrosis.